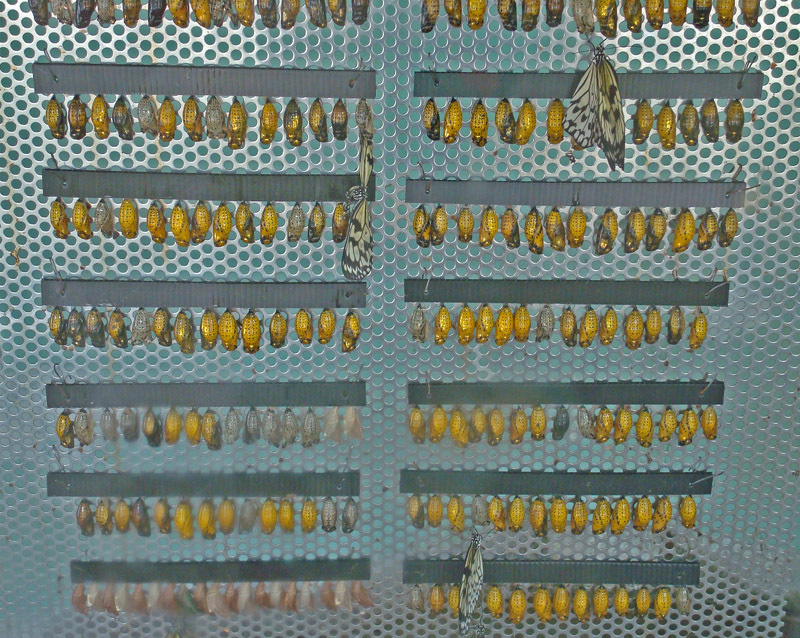 I took the top photo on this post in the Pupa House, a small gazebo with racks of butterfly cocoons (or pupa) that are completing their metamorphosis from larvae to butterflies. It was strange, but really cool to watch! 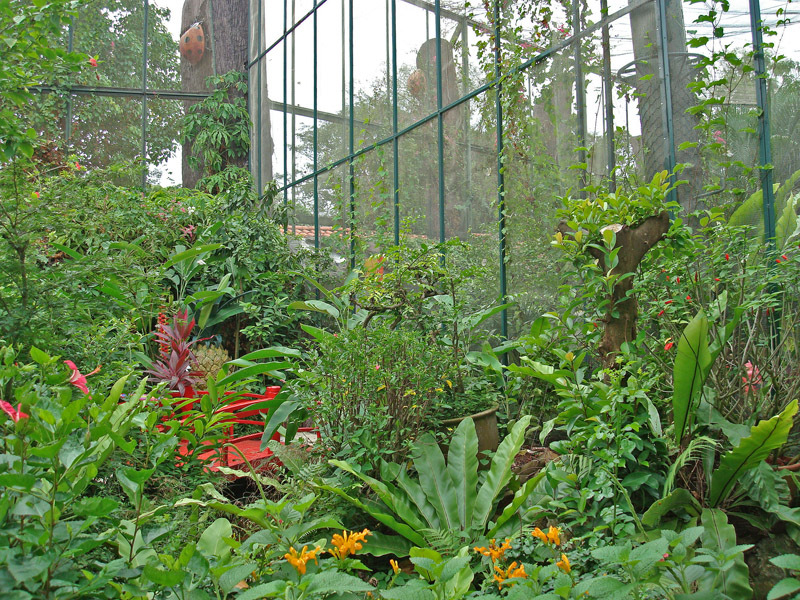 And my photo above is of one corner of the butterfly enclosure. It was beautiful and very tropical, with numerous butterflies floating overhead and in the foliage. 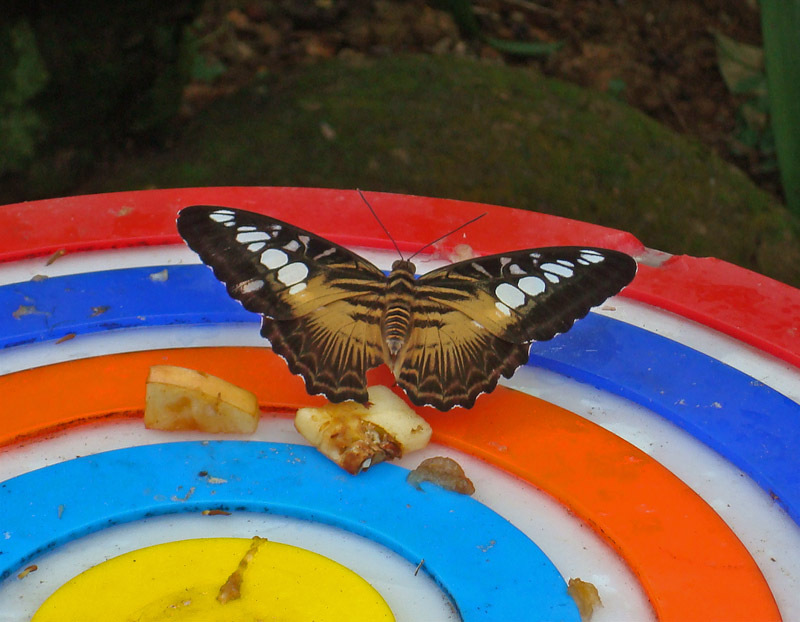 There are about 14,000 species of butterfly in the world, and Sentosa’s park seemed to have quite a few of them. The black butterfly, pictured above, and the black and tan butterfly, pictured below, were just two of the many species we saw. Beyond the outdoor Butterfly Park and the indoor insect exhibit was a small museum of preserved butterflies and insects, with some rather stunning examples of the amazing size and coloring of butterflies and insects around the world. 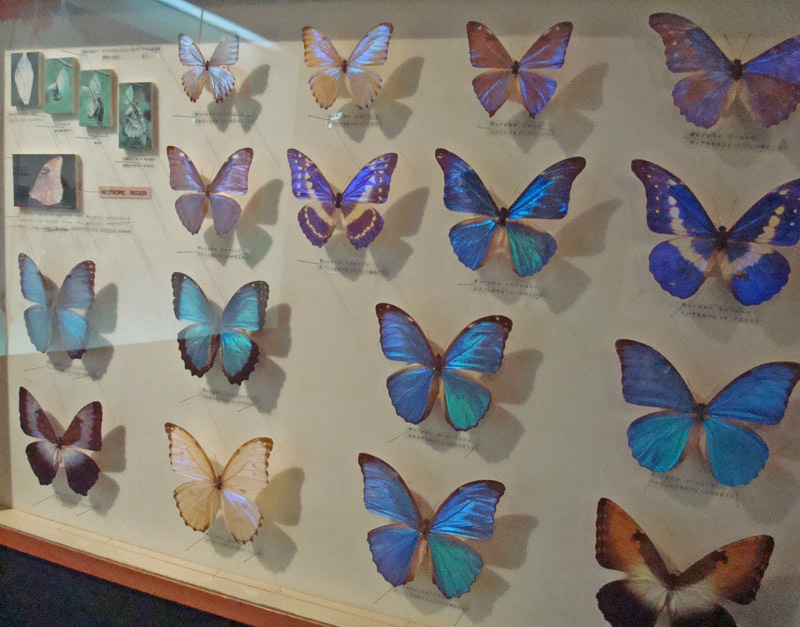 The photo below shows some of the beautiful, almost iridescent butterfly species. 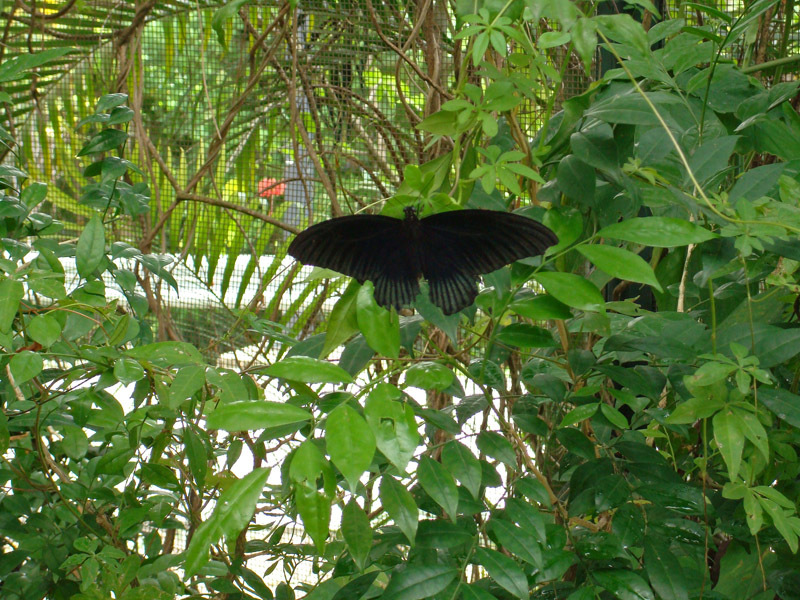 I took these photos in the Butterfly Park & Insect Kingdom on Sentosa Island in Singapore in February 2010. 17 Mar This entry was written by Kathy Keating, posted on March 17, 2010 at 6:02 pm, filed under Animals, Asia and tagged Animals, butterflies, cocoons, kathy keating, sentosa island, singapore. Bookmark the permalink. Follow any comments here with the RSS feed for this post. Both comments and trackbacks are currently closed.